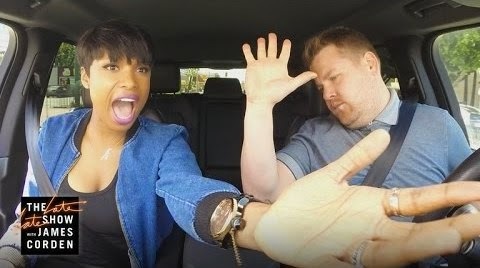 Jennifer Hudson joined The Late Late Late Show host James Corden for the latest edition of his “Carpool Karaoke” series. Corden launched the feature a few weeks ago with Mariah Carey as he explained the need for a second passenger in his car so that he could use the carpool lane to drive to work. Hudson and Corden jumped right into some of the singer’s biggest hits in the car on their road trip, which saw the pair stop at her Hollywood Walk Of Fame star and order from a drive-thru. Corden recently took over the CBS late night program following a 10-year run by comedian Craig Ferguson.